Nvidia Shield Tablet with Tegra X1 Coming Soon? 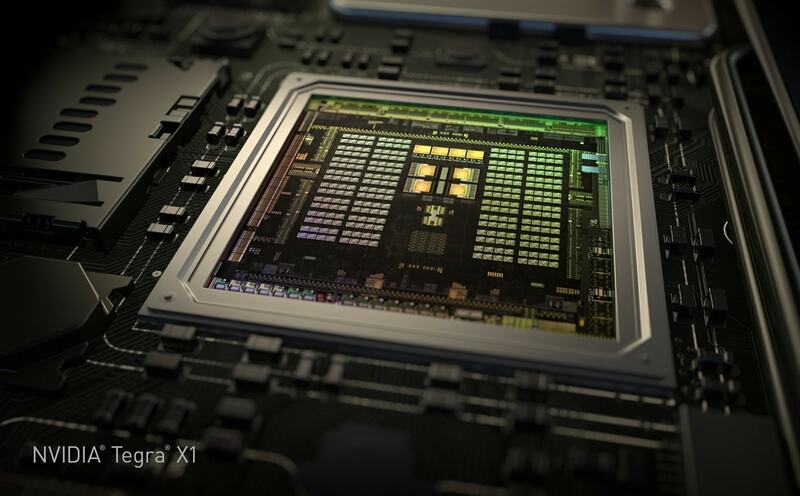 It's been over a month since Nvidia unveiled its latest cutting edge CPU, the Tegra X1, so it should probably come as no surprise that rumors are circulating that the chipmaker is going to launch a new flagship tablet. Fudzilla reports that they have sources which tell them that a new Nvidia Shield tablet will be launching in the next few months. They don't have any details, but they're expecting an announcement at the GPU technology conference on 17 March (if it doesn't happen sooner). The existing Shield tablet runs Android 5.0 on last year's Tegra K1 chip. It offers high performance gaming with a vanilla Android experience, and at $300 it was a good value (assuming you needed the performance). We don't know anything for certain about the next model, but it's safe to say that it's going to be ridiculously overpowered for most uses. When Nvidia launched the Tegra X1 chip at CES 2015, they said that it would be used in the computer vision systems for self-driving cars and as the core of a carputer. In the later case, the Tegra X1 is going to drive an in-car entertainment system with up to 4 different HD screens. The Tegra X1 is capable of simultaneously showing 4 different HD videos (or two 2K resolution videos) at a time, so putting this chip into a single tablet can only be described as overkill. Unless, of course, Nvidia also got their hands on a screen with a resolution high enough to need all that extra power. That is speculation, but it is not out of the question. Being able to drive a screen and to game on it are 2 very different things. The GPU in the X1 has 256 shaders (or cores) , the desktop NVIDIA GeForce GTX 750 has 512, the high end GTX 980 has 2048 and we’ll see much bigger soon enough. So it’s a little GPU matching low end discrete laptop GPUs, a hell of a lot for mobile but no supercomputer. Good point. But it’s still heck of a lot more graphics power than you will probably need in a tablet. Hard to say since nobody tests framerates or better (http://techreport.com/blog/24133/as-the-second-turns-the-web-digests-our-game-testing-methods) in actual games so we don’t know what kind of perf is the min needed and when it becomes overkill in actual games. It seems overkill because it is so much faster than others and maybe it even is, bellow 4k anyway. We really need better gaming testing on Android , what we have no is pointless. Phone screens go up to 60FPS but Mediatek is enabling 120FPS ( http://www.anandtech.com/show/8852/mediatek-demonstrates-120-hz-mobile-display) so maybe Nvidia could do that too and in theory one could am for 120FPS in games for the best perf, something that others might not be able to reach. Another matter is that it’s not all Android , sure Shield is expected to be Android but on Win 10 ,maybe Ubuntu, the games could take better advantage of the GPU. Found some FPS testing on youtube no clue how accurate the tools used are but some games do drop to 30FPS and bellow at times , the cause might not always be the GPU itself but chances are on 1440p it wouldn’t hurt to have the X1 if you aim for 60FPS. The too much much perf rhetoric is an Apple press creation anyway when Tegra K1 was beating the ipad, a few months later when the ipad caught up in perf, the perf was great.